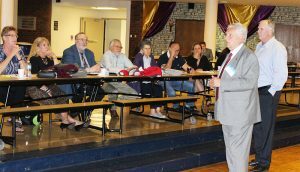 The New Jersey School Boards Association (NJSBA) released a report Tuesday night containing 69 recommendations to improve educational opportunities for students who plan to enter the workforce immediately after graduating from high school. The project’s ultimate goal: Identify strategies to better equip career-focused students with the skills required in a job market that is rapidly changing due to advances in artificial intelligence, automation, robotics, and other factors. Business groups report that New Jersey has 44,000 vacant middle-skills jobs, defined by the Harvard Business School as those requiring “more education and training than a high school diploma but less than a four-year degree.” To effectively prepare students for the jobs of the future, schools must fundamentally change the way they prepare students for their future careers, according to the final report of the Task Force on Educational Opportunities for the Non-College-Bound Learner. “For too long, we have defined student success with only one question: Are you ready for college? But as the task force report points out, there are many pathways to achievement and happiness in education, career and life,” said Dr. Lawrence S. Feinsod, executive director of the NJSBA. “This would include careers that require specialized training and credentials but not a college degree. 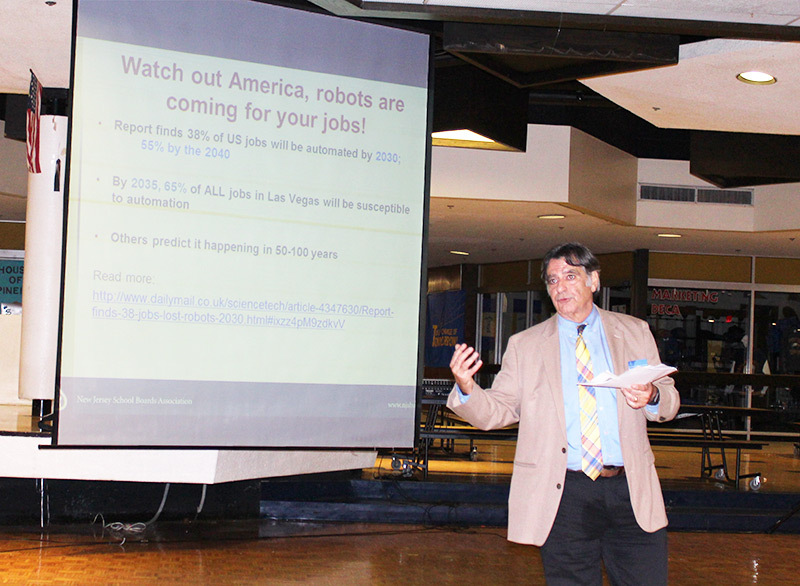 The 69 recommendations that the task force developed provide a means of rethinking how we prepare our students for success in the present and future economy,” Feinsod said during a scheduled event at North Brunswick High School. Approximately 50 educators and members of the business community were expected to discuss the recommendations at the forum. The report will also be the subject of a Workshop 2018 group discussion on Wednesday, Oct. 24 at 9:30 a.m.
Tours of local companies can help students understand the pathways that are available to them. Businesses and industries should have input into the local curriculum to be sure it is relevant, Sinclair added. The NJSBA president was a prime mover behind the creation of the task force. The task force report also calls for new ways to measure the success of students and school districts. For example, instead of ranking districts by how many of their graduates attend four-year schools, the task force says new ways should be found to recognize schools that prepare students by providing internships, apprenticeships and information that will prepare graduates for more than a minimum wage job. The task force recognizes that, for many students, the traditional path to a four-year college degree remains the best course, and all students should be free to choose the route that is best for them. 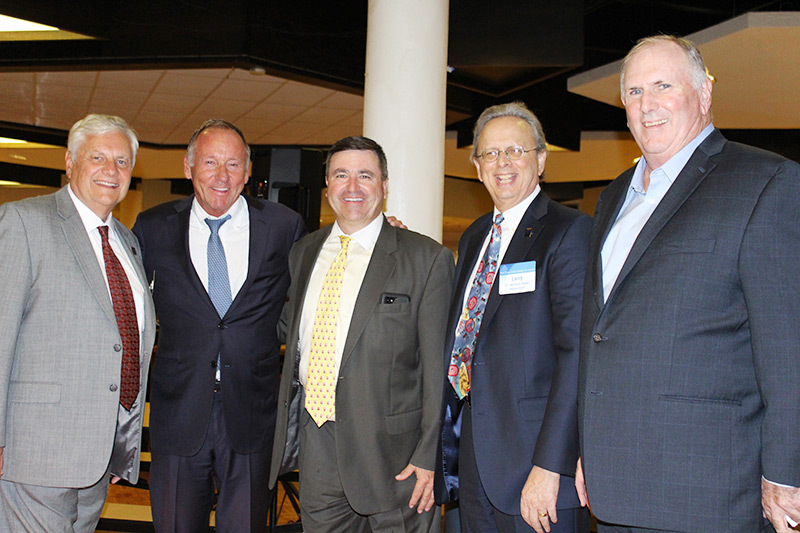 Celebrating the release of the task force report at North Brunswick Township High School on Oct. 2, 2018 are, left to right, Donald Webster, NJSBA immediate past president and task force chair; Mark Biedron, N.J. State Board of Education immediate past president; Dr. Brian Zychowski, superintendent, North Brunswick Township schools; Dr. Lawrence S. Feinsod, NJSBA executive director, and Dan Sinclair, NJSBA president. Task force leaders Donald Webster, Jr., and Dan Sinclair take questions from some of the 50 educators and school board members who attended the Oct. 2 release of the task force report. 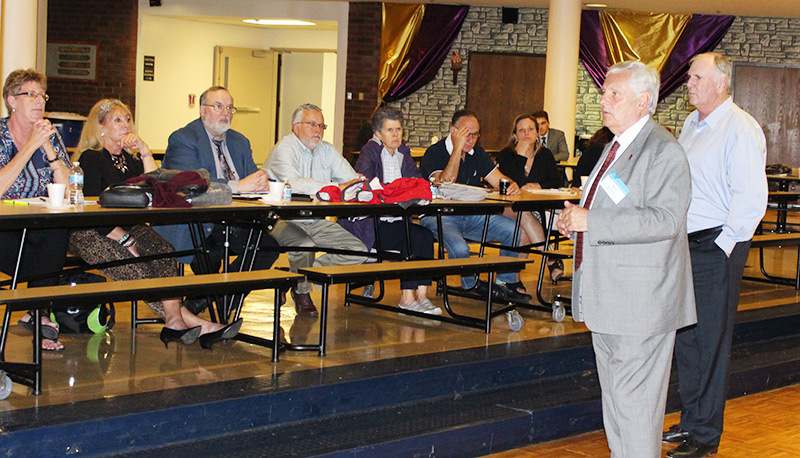 Vincent DeLucia, NJSBA Educator-in-Residence, explains some of the 69 recommendations in the task force report which was released Oct. 2, 2018.